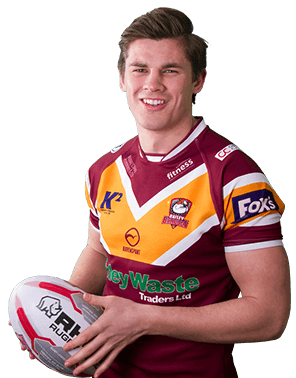 Danny Cowling has been a popular addition to the Batley Bulldogs since joining the club from Doncaster in 2016. 31 appearances and nine tries in his first two seasons earned the centre a contract extension in 2017, but the 2018 season didn’t go quite the way he planned. “We were playing the Sheffield Eagles at the back end of June,” he explains. “I stepped off my right knee and it just buckled under me. You hear this kind of pop and crunch and then it’s agony. I just collapsed in a heap. Danny was no stranger to ACL injury. He’d ruptured his left ACL a few years back. Repeating the experience in his right knee was a combination of familiarity and frustration. Before the process of recovery could begin, Danny would need reconstructive surgery. Fortunately, he knew just the knee surgeon to call. Danny’s first ACL injury was treated by a different knee surgeon, and whilst all his treatments have been a success, Danny believes that working with Jon has been an especially positive experience. “When you’re going through something like this, that’s potentially career threatening, it’s great to have someone like him on your side. He’s a completely down to earth bloke and at his consultations he’s really personable. Jon operated on Danny around 10 weeks ago. After six weeks, Danny saw Jon again to check everything was proceeding as it should. “Six weeks is quite a big milestone as it’s the point at which you should be getting back to most day-to-day activities,” he explains. “After that I’ll see Jon again at the six month stage. And because Jon knows I’m under the physios with the club he’s happy to leave me in their hands to keep building me up. “It’s off-season now so we’re building up to getting back to training and I’ve been maintaining my fitness at the local gym. I haven’t run yet but I should be starting that in about three weeks. Then, as you get stronger in one area it’s just about drip feeding the additional elements – straight line running, then changes of direction, then contact. For any elite sports person, seeing a knee surgeon is inevitably a bittersweet feeling. You’d rather not see them at all, but if you have to, you want it to be someone you feel you can relate to. To speak to Jon Smith about your knee injury, please contact us.